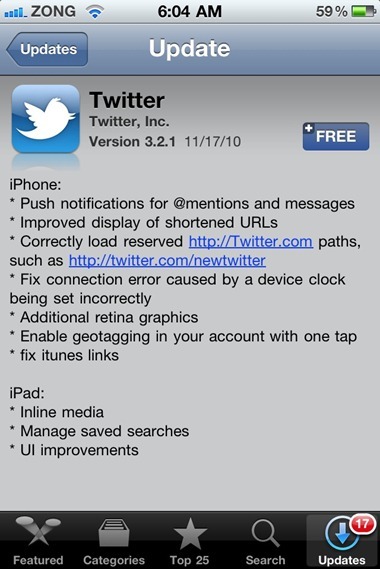 The official Twitter blog has just announced full iOS 4.2 compatibility for iPad and iPhone clients, and official push notifications support for Direct Messages (DMs) and Mentions for Twitter for iPhone client. Twitter for iPhone & iPad is still propagating through the App Store worldwide. Download link is given below. Official Twitter for iPad App is Finally Here ! Official Twitter App for Windows Phone 7 Released !